Have you implemented Salesforce and are not sure what to do next? Do you have a sustainable training program? Do you have an accurate perception of your company’s adoption? 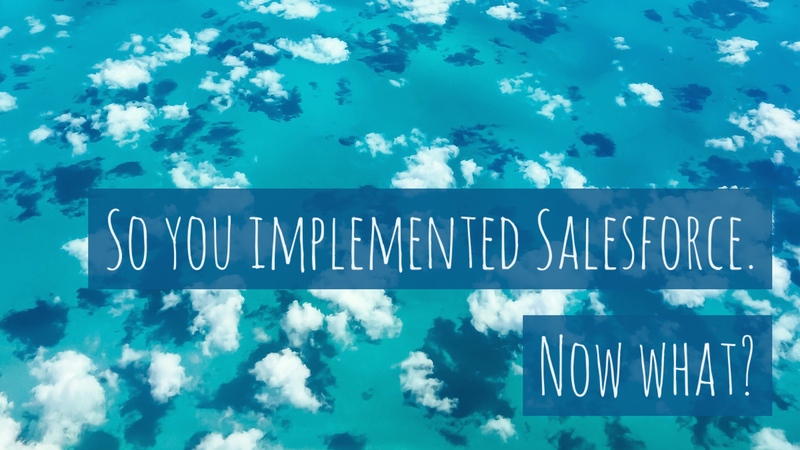 Are your sales reps using the system the way you expect them to? Is your data clean? Do your reports and dashboards help you make key business decisions? Are you optimizing your investment into Salesforce with apps to automate additional aspects of your business? One service we offer is a one-day Salesforce.com assessment. During this day, we will spend up to eight hours on-site with your team members defining your goals, learning about your business processes and auditing your Salesforce implementation. After gathering information from key stakeholders and users within your company, we will provide a full report of our findings and recommended next steps to meet your goals as they pertain to your use of Salesforce and related technology. We will supplement our recommendations with any other key information you might find helpful for your overall IT strategy to help you achieve your business goals. We are local to Hampton Roads, but we are also willing to travel. We will be on site to learn about your business in person, rather than over the phone. We have experience with a wide range of AppExchange products, managed packages, custom applications and partners. After gathering this initial background, we can point you in the right direction to meet your objectives. We have experience integrating Salesforce with a variety of other systems, including Oracle Enterprise Business Suite (EBS), FormAssembly, WordPress, QuickBooks, Xero, Twilio, and many other custom applications. We are using the latest Salesforce features, including Lightning and Salesforce1. We can perform a Lightning Experience readiness assessment as part of our evaluation. Interested in a one-day Salesforce assessment? Contact us today to request a quote!